This is normal and good for your company. If every branch acted the same way, then your company would probably fail. They need flexibility to achieve their designated areas and you need to trust they will do so professionally. It’s still a good idea to give them basic rules of engagement with customers and co-workers not to mention branding materials and a company style sheet for documents. It can be difficult to adjust to this concept at the beginning, but just take a deep breath and push it to the background. Managers of departments can be a godsend. One thing which is very important for your multiple personalities is organization such as email addresses, phone numbers and organization charts. Decide on a format for your emails and stick to that throughout the company. For instance, [email protected] or [email protected]ny.com. The first is just my first name whereas the second is the first initial of my first name and my last name. Unless you are a large company, using the first name is a good idea as it seems more personal. For a larger company or one which already has two or more people with the same first name, the second option would suffice. The easiest way to keep phone numbers organized is to use a virtual phone system which offers multiple extensions. My Halloo’s product lets a manager add extensions as employees join the team. Further helping your team members are the online dashboard which helps notifies them of new phone calls and helps them keep their messages organized. As an added bonus, you can create extensions for in-office and out-of-office workers giving your employees a great deal of flexibility with their work schedule and emergencies. Hint to achieving even greater success… create generic extensions for departments. These can stay the same if an employee leaves the company or gets moved to another position which means less hassle for you and less confusion for your clients. One of the first things you need for your company is an organization chart. It must be simple and clearly delineates who reports to whom. Your company can fail without clear directions to your employees. This can be more important if you have multiple partners in the company. Who do they report to? Which areas do they oversee? 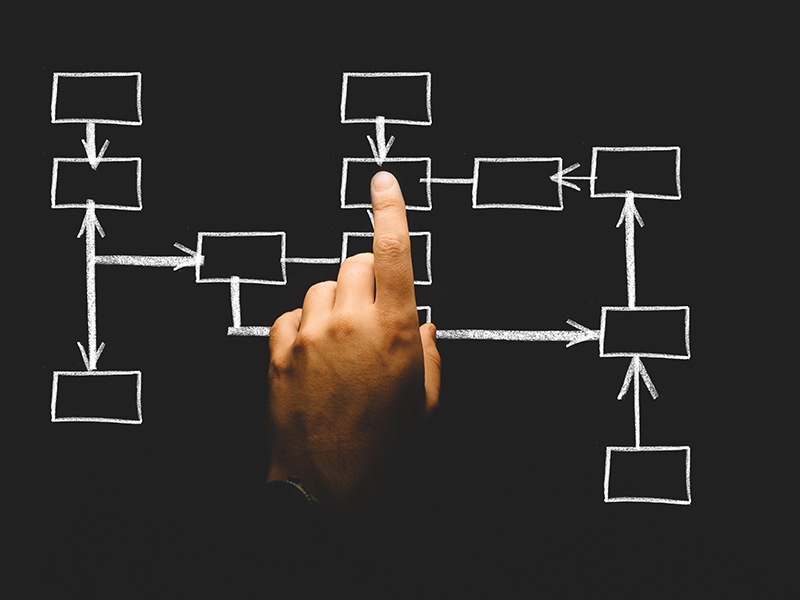 SmartDraw has a great post titled “10 Tips for Perfect Organizational Charts.” This will help you form your organization and put it on paper. Don’t be afraid of your multiple personalities. Embrace them and work with them to make your business better and your customers happier. This entry was posted in Multiple Extensions and tagged multiple extensions by Kimm Antell. Bookmark the permalink.